This fascinating photographic study has been twenty years in the making. Ballen first began photographing the villages of rural whites in South Africa in the 1980s and has continued up to the present, documenting this fringe of South African society whose Apartheid privileges have now completely vanished. The viewer is confronted with a troubling narrative in which the inhabitants are progressively participating in their own representation. You have never seen photographs like these before--black-and-white images of people who seem damaged and defective, yet oddly sympathetic, posed in ways that suggest the pitiless workings of heredity and environment. 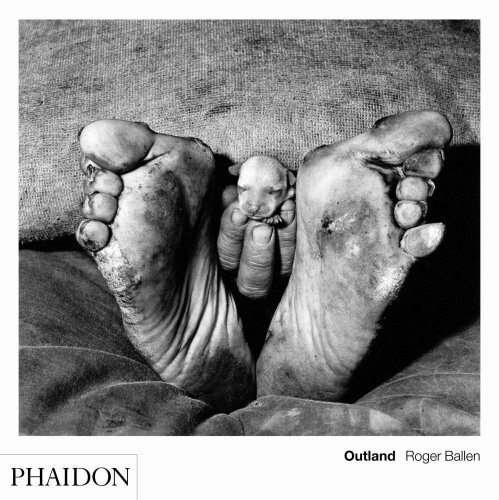 Using a shallow, stagelike space, Roger Ballen gets in close to his subjects--men, women, and children living in remote parts of South Africa. A woman in a soiled dress shouts at a man whose back is turned--or at the barking dog rearing over his shoulder. A plump fellow in a security guard's uniform stares, wide-eyed, at the camera while one of his meaty hands pins a tiny puppy against the wall. On a patch of raked dirt, a sleeping baby in underpants lies across the intersection of two mysterious tangled lengths of string. These photographs pose blacks and whites together in ways that suggest enigmatic playfulness or wordless acceptance. In one image, a white woman, blind in one eye, with a face like a rotten apple, wraps her arms around two pug dogs. Next to her, a black woman in a smock stands patiently. Above them, large portraits of children (where are they now?) hang on the dirty wall. It is a scene of care and neglect, loss and resignation.